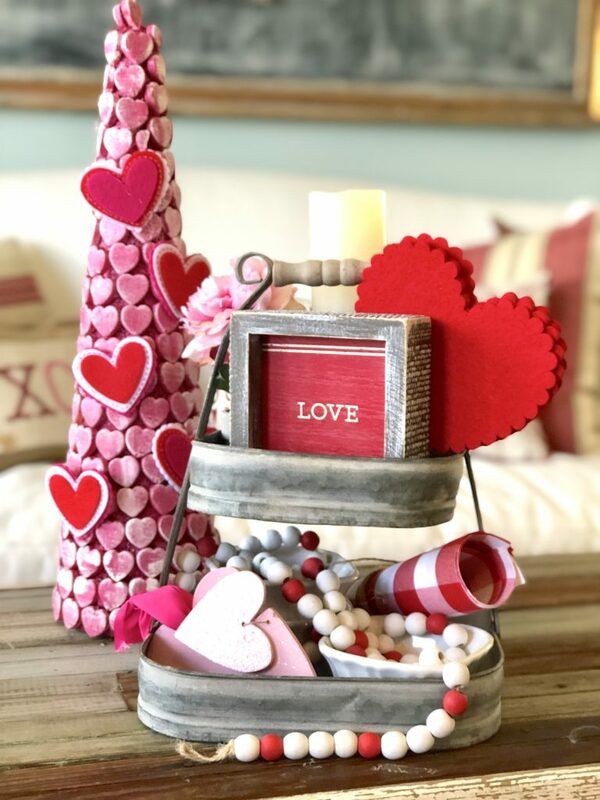 Shop from this list of thoughtful and affordable Valentine’s Day gifts for your wife, girlfriend, or significant other that loves home decor! As a self proclaimed ‘homebody,’ I can think of no better Valentine’s Day gift than breakfast in bed! 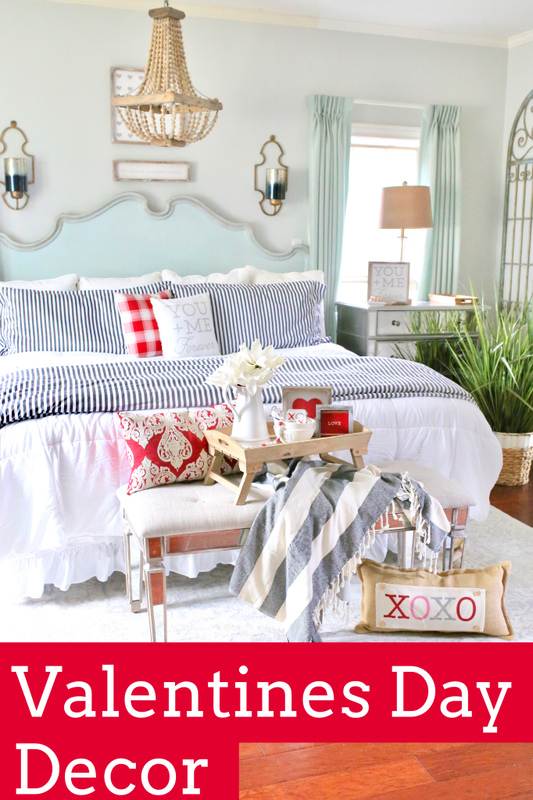 So, I am sharing some of my favorite small shops to decorate my master bedroom for Valentine’s Day. 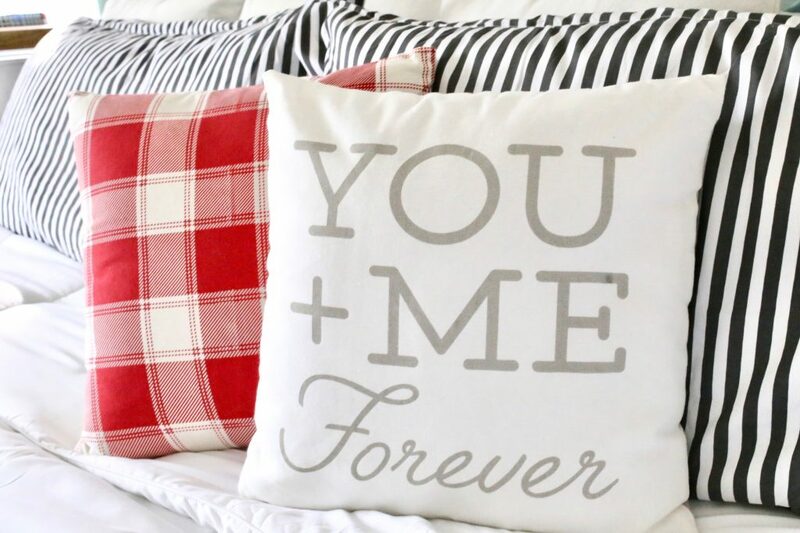 You can drop a hint to your sweetie, and send him this link. Wink, wink! 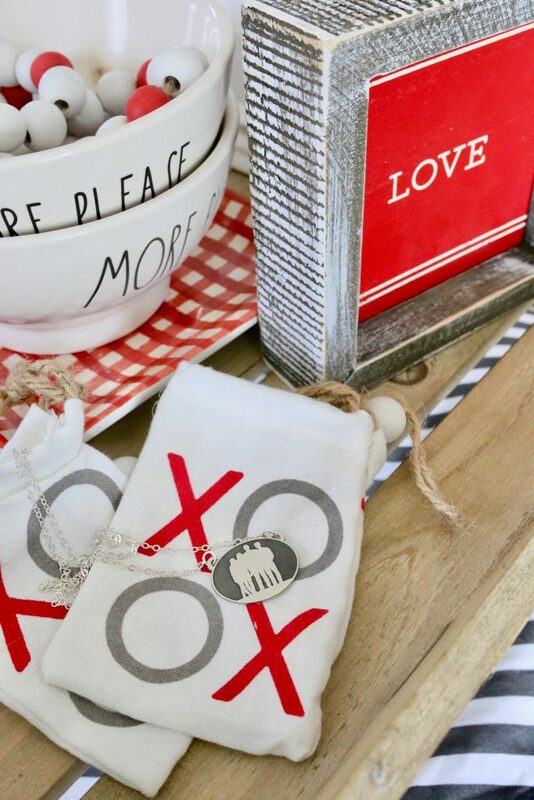 Maybe you will get breakfast in bed, or a box of my favorite Valentine’s Day decor finds while supporting small business! Recently, my bedding had become worn out. 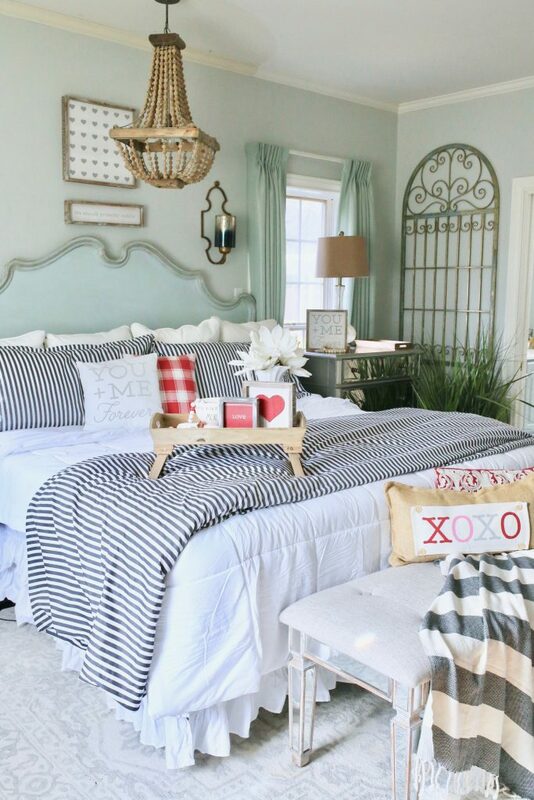 I opted for a quick update to my master bedroom with a new white down comforter and striped duvet set from Blue Bird Linens. 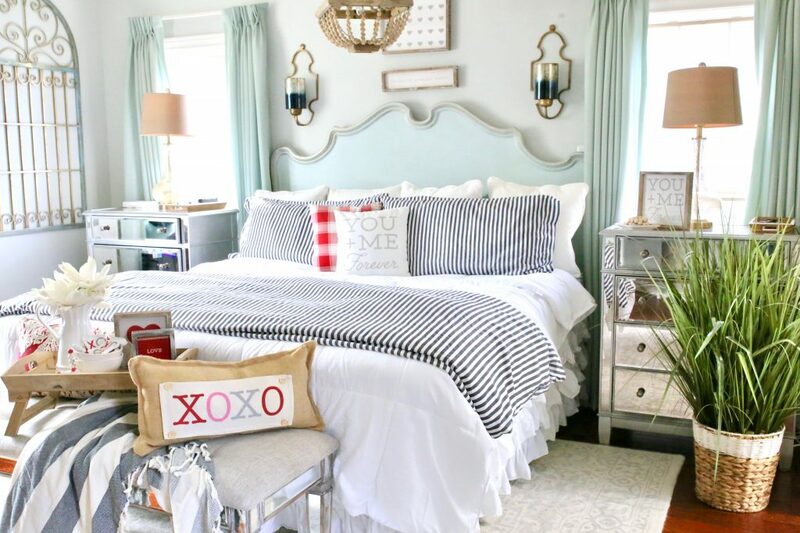 Slipping on a duvet cover can quickly refresh a space, and hide an old, but comfy comforter. 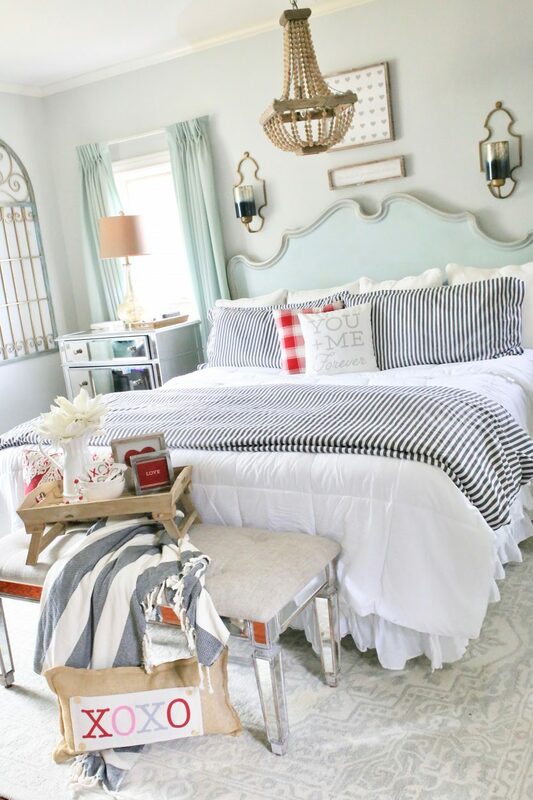 The crisp white comforter is so soft, lightweight and keeps me warm. 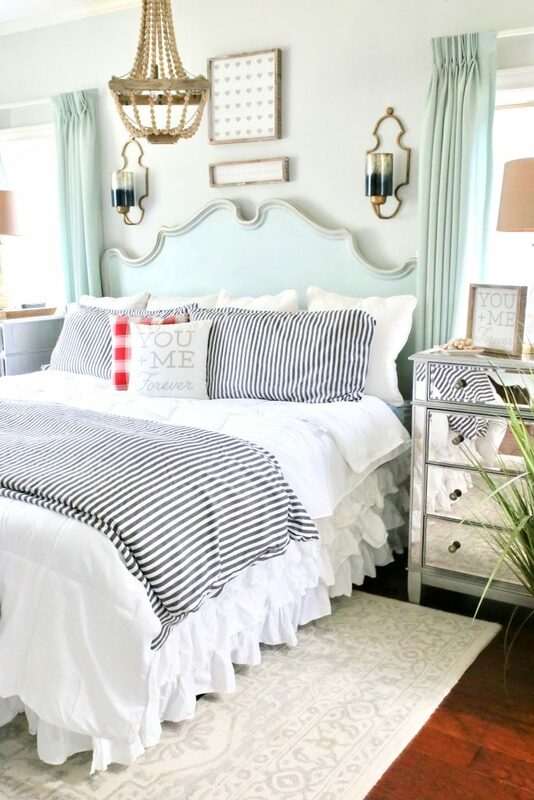 I chose the striped duvet so that I can add some fun pops of color throughout the changing seasons! 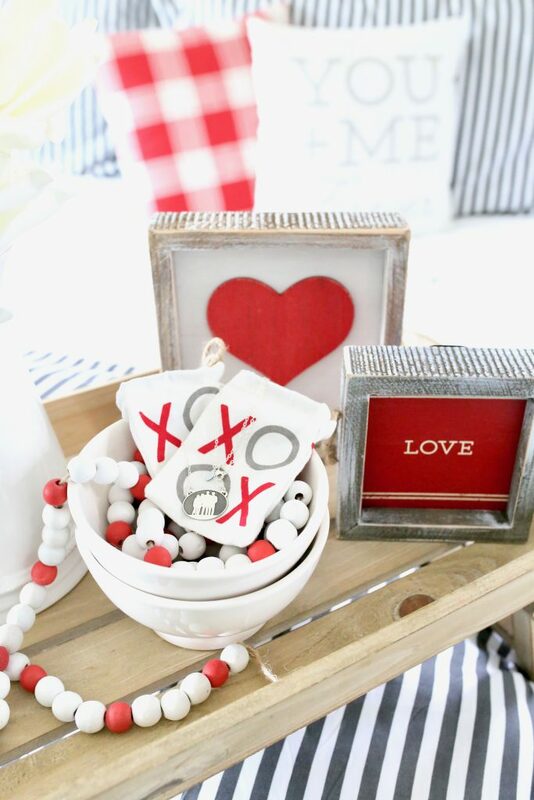 First, I am adding some fiery red for Valentine’s Day! 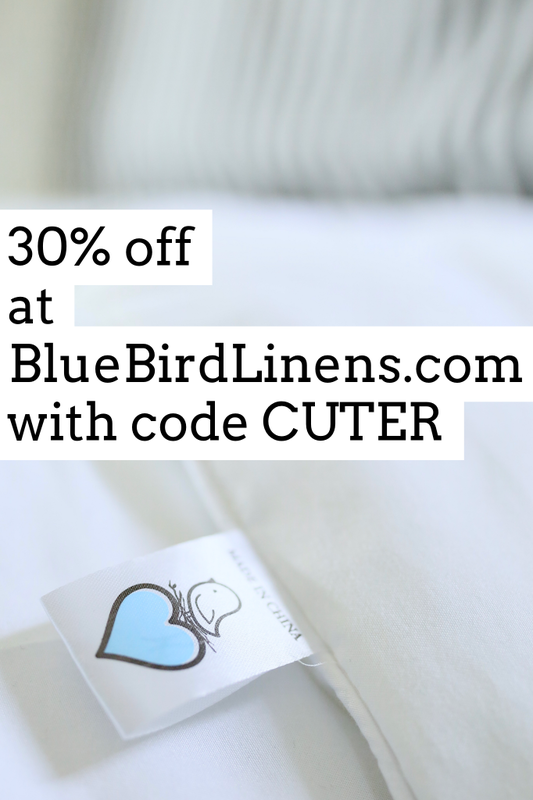 If you use code, “CUTER,” you can get 30% off all purchases of down comforters, duvet and sheet sets. These are the only ones I have been using for the past 2 years. They are great quality and very affordable. My husband even commented on how soft they sheets are. And y’all know men don’t notice anything except what’s between the sheets! Seasonal and holiday themed pillows are my favorite. 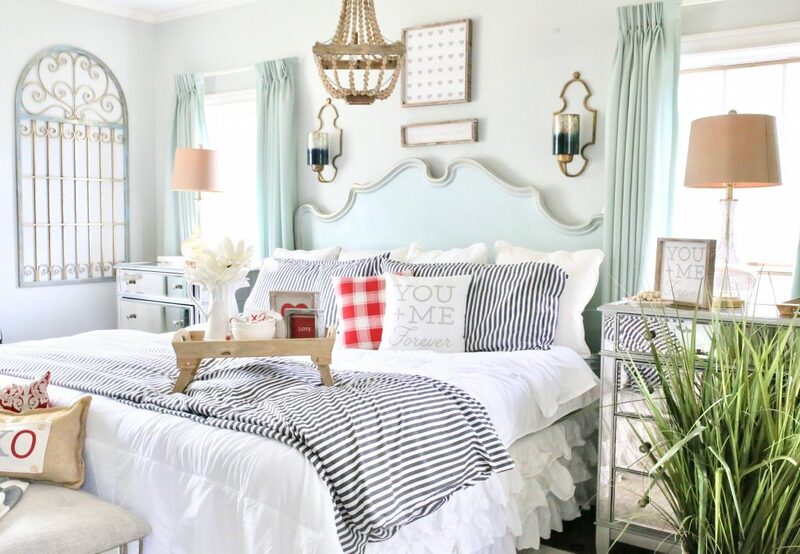 They are a quick way to add a pop of color and change up the mood of a room. I love that the pillows from Krumpet’s Home Decor are double sided. 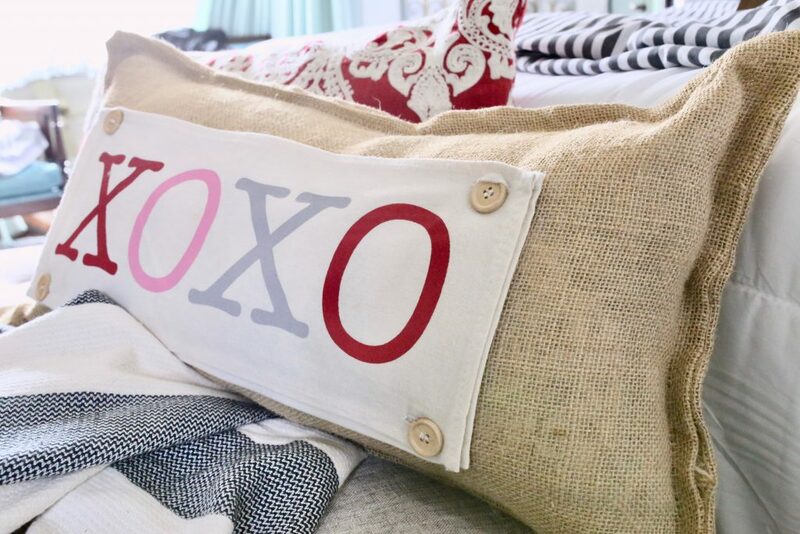 In addition, the burlap pillow from Panel Pillows comes with 6 interchangeable themed panels that store nicely in the back via a zippered pocket. Plus, you can buy additional themed panels individually to suit any occasion. 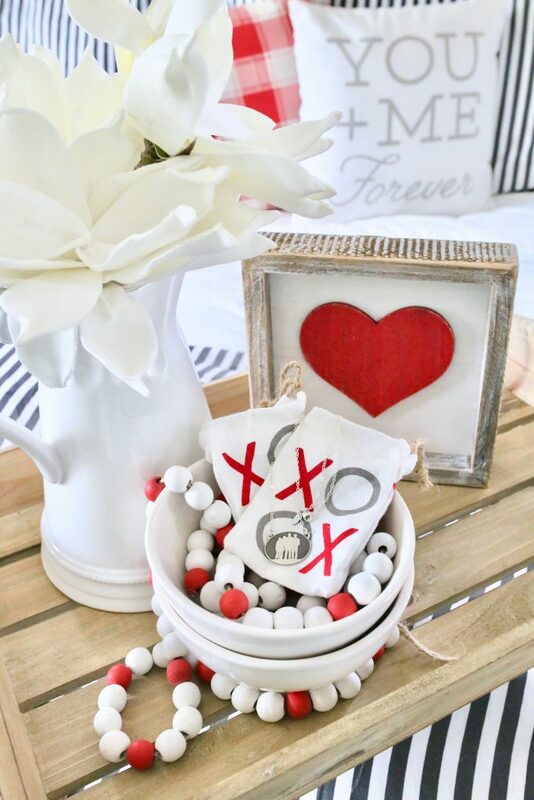 Both of these would make a great Valentine’s Day gift for anyone that loves to decorate for the holidays. 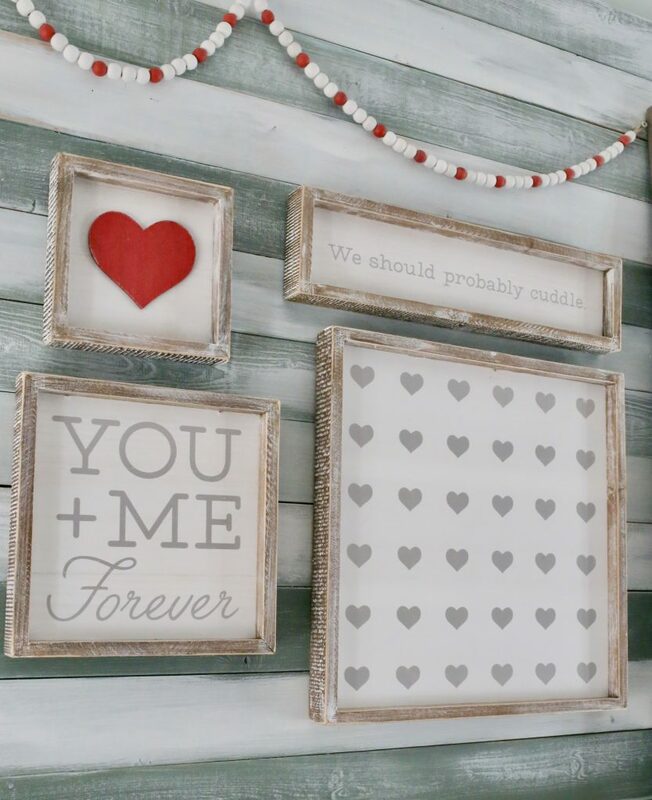 I may be slightly obsessed with this collection of Valentine’s Day signs from Krumpet’s Home Decor. 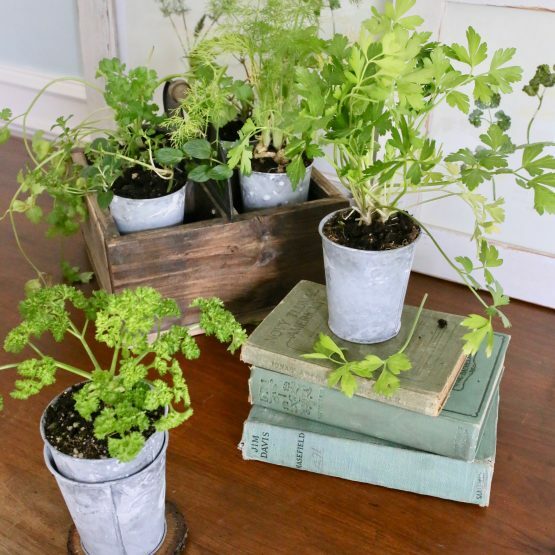 They come in an assortment of sizes, so you can mix and match them into a fun gallery wall or use them individually in a vignette. 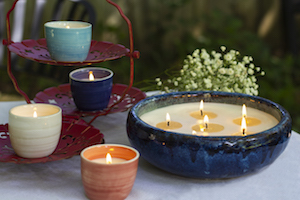 You can get 10% off Krumpet’s Home Decor with code CUTERTUDOR! 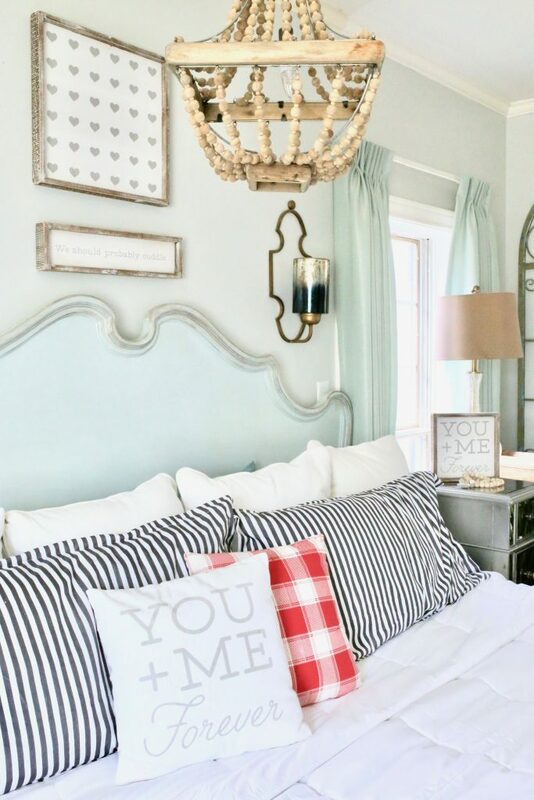 Whether I use a tray to style some of my holiday finds or serve breakfast in bed, trays are one of my favorite things to decorate my home with. This beautiful wooden tray is great, because it folds up for easy storage. Both trays are available at CurtisCreation.com. 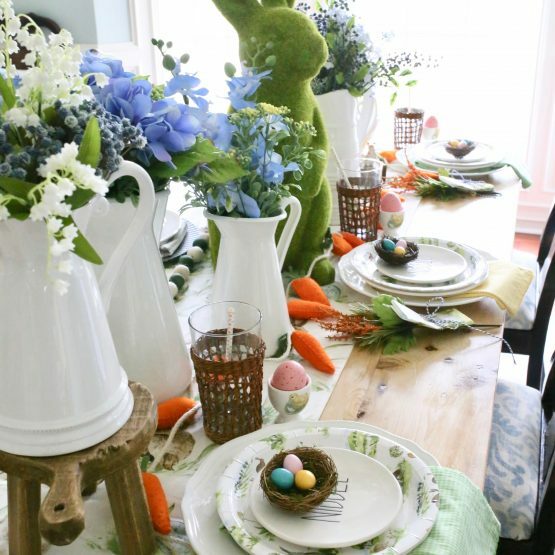 To decorate trays, I tend to use some kind of faux flowers, mini signs, a stack of white bowls, wooden beads, and some kind of fun holiday themed decoration. 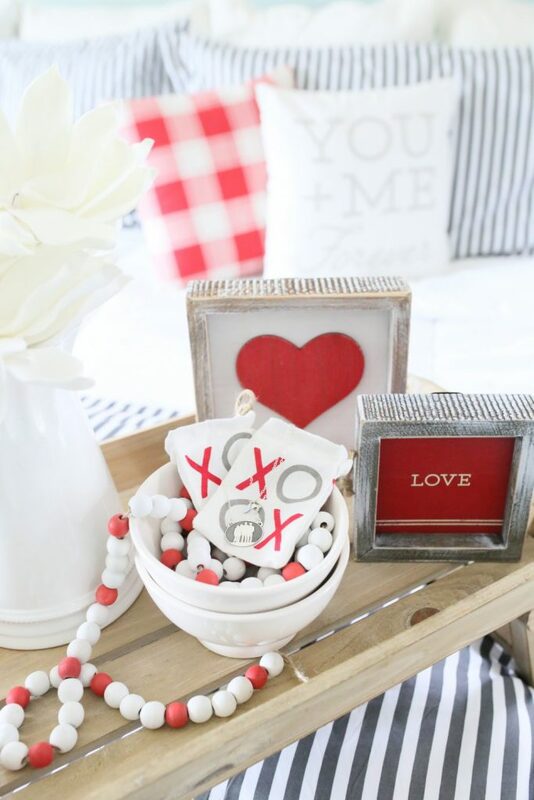 If you love home decor, you can find lots of ideas for Valentine’s Day gift ideas at Curtis Creation! P.S. 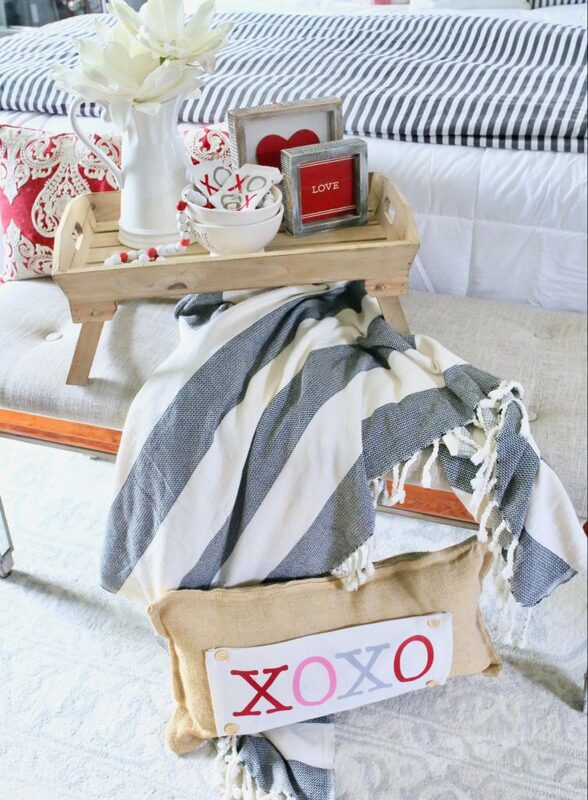 This striped throw with tassels is from Olive and Linen. 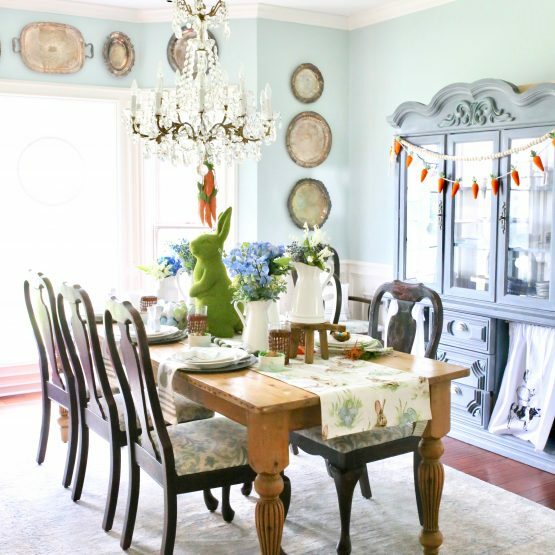 They are another favorite place to shop for beautiful Turkish towels and throws. Be still my heart. My husband’s grandmother had a hand painted pendant with a portrait of her two children that she wore often. I always admired that piece of jewelry because I knew how special it must have been to always keep her kids close to her heart. Consequently when I saw this silhouette jewelry, I knew I had to have one. These are more than pieces of jewelry, they are family keepsakes. Perfect Valentine’s Day gift, y’all! 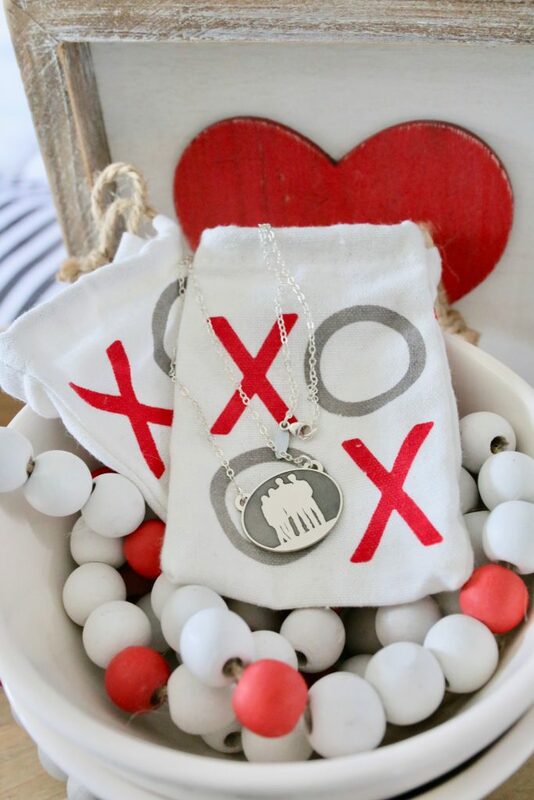 This silver pendant displaying my family’s portrait is the best gift a mom can get! No kids? Then, you can capture any family member, spouse or even your pet in a silhouette! I ordered mine from Von Jet Silhouettes which takes just a few seconds to upload a pic and order. These are handmade, so orders take a few weeks to process. Therefore, be sure to order early! 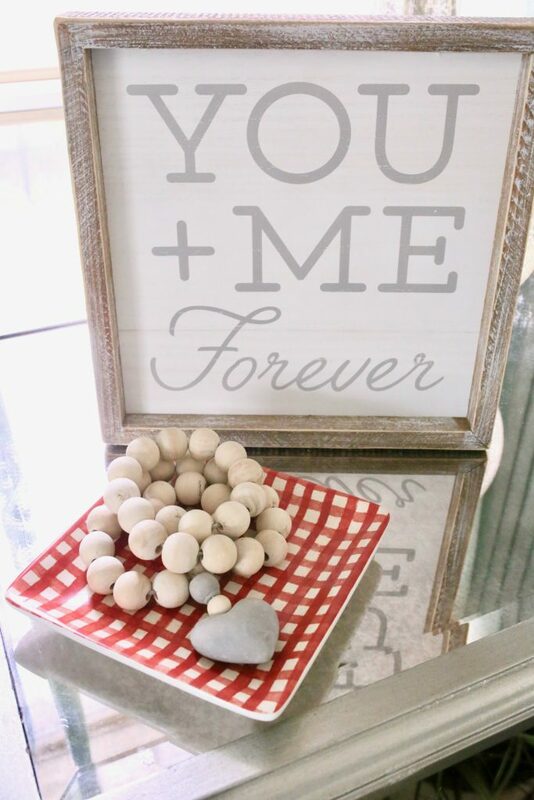 You can choose from a variety of jewelry like necklaces, charms for bracelets, or wood silhouettes for your family gallery wall. 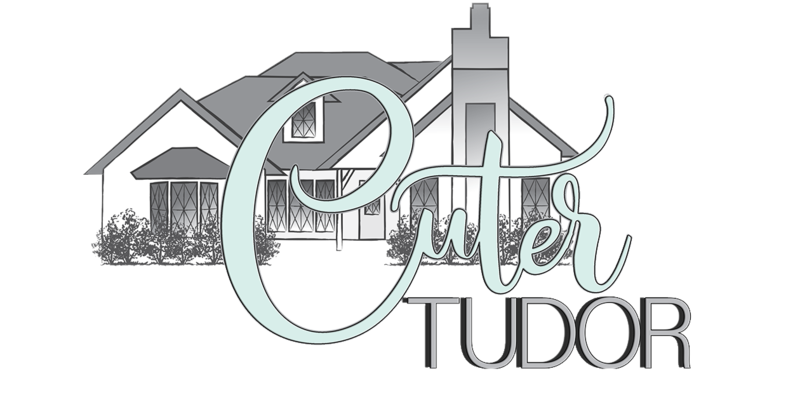 Thank you for stopping by the Cuter Tudor! I hope you have a great Valentine’s Day! Most importantly, remember the best gift that you can give yourself is SELF LOVE. The best gift you can receive is GOD’S LOVE. 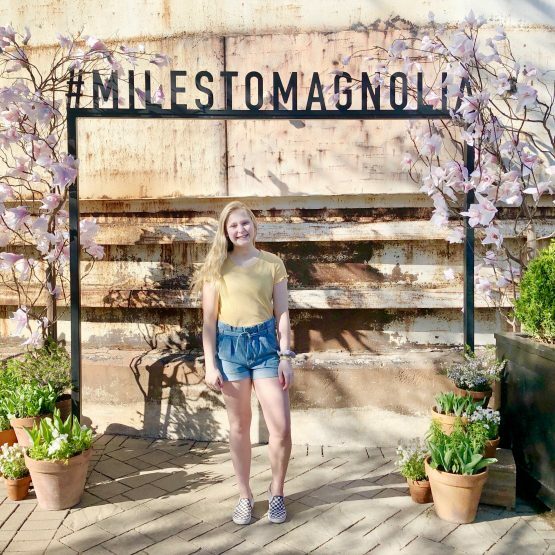 Pin this to your Pinterest board, y’all!